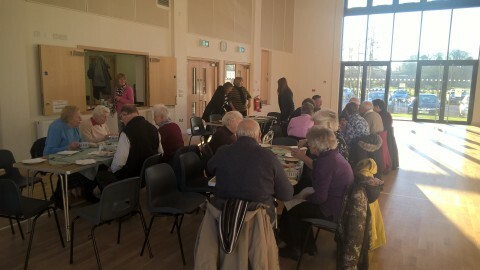 The first Warcop Parish Hall Soup and Pudding Lunch took place on Thursday 5th January 11:30 – 1:00 pm and was hailed as a great success. 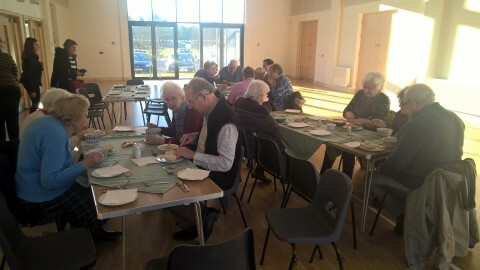 Some 23 people attended and enjoyed a variety of soups and rolls followed by puddings then tea and coffee. The atmosphere was convivial and everyone enjoyed a good chat with a range of people attending. Organised by Glenda Burton, the plan is to hold these lunches on the first Thursday of every month at 11:30 – 1:00. Everyone is welcome and the cost for the lunch is £6 each. If anyone needs a lift there and back then please let Glenda know and this can be easily arranged. Telephone 41453. It’s a great way to meet up with people and enjoy good food and great company! So please come along to the next one on Thursday 2nd March at 11:30 am. Great North Air Ambulance Collection Raises £700!